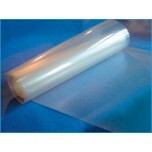 One of the most common and commercially available PEM membrane is Chemours’s Nafion® membranes. 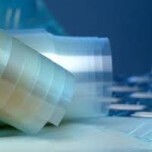 These membranes are proton-conductive polymer film, also known as electrolyte or ionomer, that allow only protons to cross-over (cation exchange membrane), the key function of Nafion proton exchange membrane fuel cells and water electrolyzers. Nafion is widely used for PEM fuel cells and can be identified based on the variety of thickness and specific application. 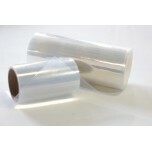 Nafion 117, Nafion 115, Nafion 212 Nafion 211 membranes are non-reinforced films, and last numbers apply to their various thickness dimensions. Choosing the proper thickness depends primarily on the differential pressure you expect across the membrane (i.e. what pressure you will be generating the hydrogen at vs. the oxygen), the type of support the membrane will have, and the operating lifetime (both hours and on/off cycles). When would you use a thinner Nafion membrane? When the best efficiency is required and there won't be much differential pressure across the membrane. We have made membranes using Nafion 212 (0.002" thick), Nafion 211 (0.001") and Nafion XL (~0.001"; chemically reinforced) that have all been shown to be exceptionally efficient. 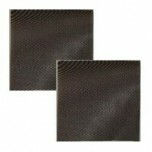 When would you use a thicker Nafion membrane? Thicker membranes and fiber reinforced membranes are more appropriate for very high differential pressure applications (1000+ psi) or very long operating life (100,000+ hrs). Some of these factors can also be mitigated with good mechanical design of the electrolyzer cell, good catalyst configurations, etc. Chemours' (formerly DuPont) Nafion® N-424 is a perfluorosulfonic acid cation exchange membrane co..
Chemours (formerly DuPont) Nafion® N438 is a new product in the 400 series family. 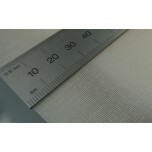 This membrane ..
Our Nafion Membrane Variety Kits consist of one piece of each of the following Nafion membranes: ..
Nafion N2100 is the latest development in the high strength family of membranes offered by Chemou..